How to make your back more resilient and get out of the pain cycle. You’re being careful while shovelling snow because you don’t want to “throw your back out” again. Then suddenly, there it is – a sharp, stabbing pain low across your back. Holding your breath you hobble inside. Do you grab an ice pack? Muscle relaxants? Take a hot shower? Days later there’s no change. Do you stay in bed and cancel work? What you choose to do over the first few days can dictate whether or not your acute back pain becomes chronic back pain. Guidelines for low back pain management have changed and although mounds of research have revealed no clear causes, there are definite interventions that support recovery as well as some consensus on what doesn’t work. LBP is the leading cause of disability worldwide. 60% of back pain resolves without intervention (though chance of recurrence is high). Exercise is the only known approach that can greatly reduce the chance of recurrence. 90% of back pain is non-specific (no definitive cause). Knowing how many people have arthritis, bulging discs and degeneration, how can most cases have no specific cause? Well, this not saying that these and other conditions aren’t rampant, it’s saying that they can’t guarantee they’re the cause of pain. Significant research has been done using imaging to compare groups with and without pain and it is widely known that rates and severity of herniated discs, degeneration, and arthritis are equal amongst both groups. In fact physicians rarely recommend scans as increased imaging strongly increases the likelihood of acute back pain becoming chronic. The more scans – the more likely the back pain remains. 1. Most people’s X-rays show something – from herniated discs, to arthritis. Once people read the summary they are certain there is a concrete often unchangeable reason for their pain. They are then less motivated to commit to conservative treatments like physiotherapy or exercise. 2. The wording on the scan summary and how it’s presented by the physician often includes descriptive negative words. 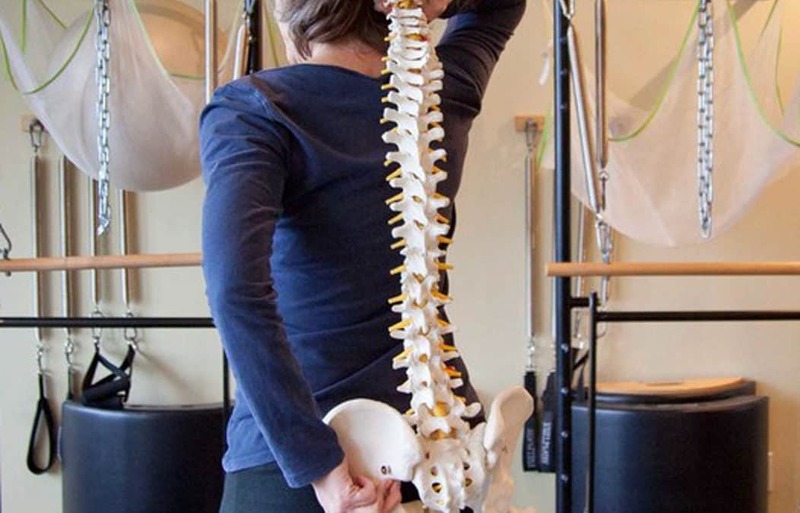 This gives us a terrible mental image of our spine that make us think that spines are much, much, more fragile than they actually are and it doesn’t put the results in context of normal spinal changes. This in turn causes a spiral of fear, restricted movement and despair. And research clearly shows that outlook effects pain levels. If a scan is not warranted, what can we do? Let’s look at a summary of the guidelines. If your back pain is severe, you may need to rest, lying down for periods of time. Still, try to change positions and get up to walk around for a few minutes as often as you can. Icing offers no healing benefits and if there is an actual tissue injury, like a tear or strain, icing can impede healing. If you love ice and it calms the pain? Don’t use it for more than 10 mins at least an hour apart. You hate icing? There is no reason to ever apply ice. Excessive rest or movement avoidance presents a major risk factor for prolonging back pain episodes. Beyond 24 hours, you do not want to spend the day on the couch. It’s important to realize that walking, standing and gentle exercises are not going to damage tissue – the spine, even compromised, is way stronger than that. Normal movement might slightly or temporarily increase pain or stiffness, but it’s not damaging. Do not wait for the pain to be gone to get moving. We do have to respect pain and the associated muscle spasms that go along with an acute episode of LBP. So it doesn’t mean ignore the pain entirely and return to snow shovelling. Instead, find out what you can tolerate. Move slowly with gentle exercises in small mid ranges and build up tolerance in steps. If your regular workout is in a private session rather than a class – don’t cancel it. If the Pilates teacher, personal trainer or Yoga practitioner is sufficiently qualified (not all teachers are comfortable with this stage) they can help guide you into movements and ranges that are great starting points and find homework exercises that work for you. The session will also allow you to breathe, move and focus on the non injured parts of your body. The final point sounds like the fluffiest, most non critical component – but it’s essential to a full recovery. Control your thoughts. Avoid catastrophizing. The brain generates the pain signal which is not a clear measure of tissue damage but rather a warning signal. The severity of the pain signal is determined not only by input from potentially damaged tissue, but also from information from our physical and emotional history, and our fears. Go ahead and be annoyed at the pain, but try not to be afraid of it. Do what you can to calm your mind, particularly as you explore movement. Easier said than done, but so very necessary. Overwhelmed by your back pain? Questions or comments? This article specifically relates to episodic LBP that is non specific. Some back pain does have specific causes. If you have back pain that persists, that doesn’t change with movement, and have any associated loss of bladder control seek medical attention immediately. If you have never experienced back pain and have inexplicable back pain arise and are 50+ tell your doctor.